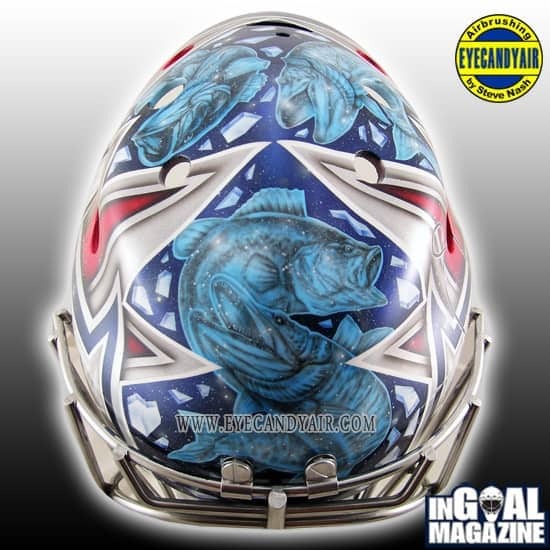 Connor Hellebuyck went with a winter outdoor theme on his new Winnipeg mask, so it made sense to tip his hat to big Jets defenseman Dustin Byfuglien, a Minnesota native and avid fisherman. 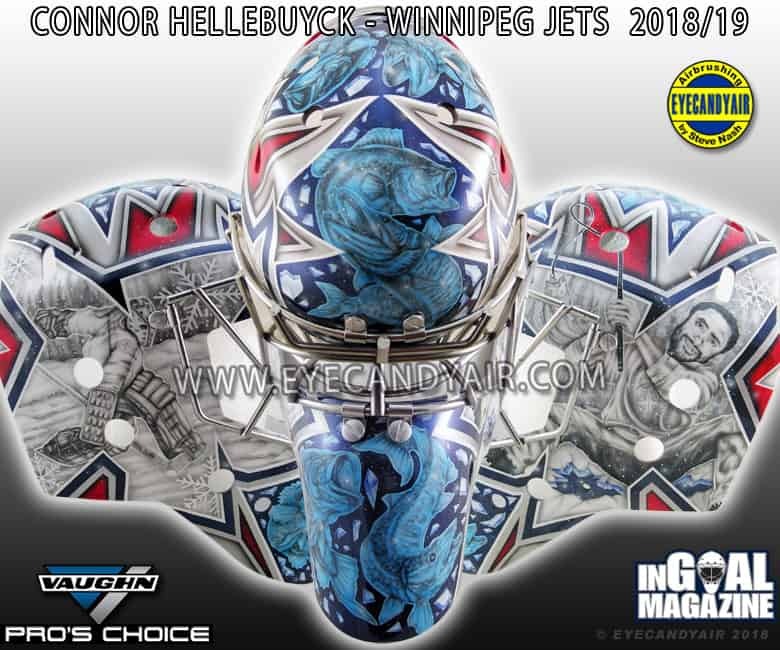 Both the goaltender and Big Buff portraits are hand painted within the outline of a Jets logo, tying in the team theme to some of Hellebuyck and his teammate’s personal preferences. 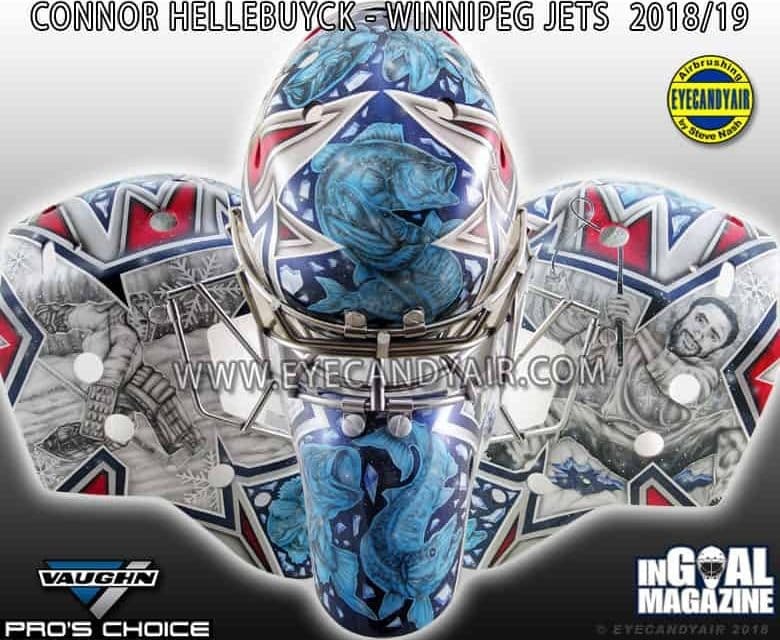 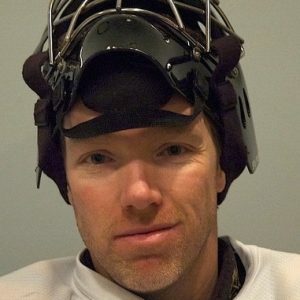 It’s a great way to combine both sides of Hellebuyck and his teammates. 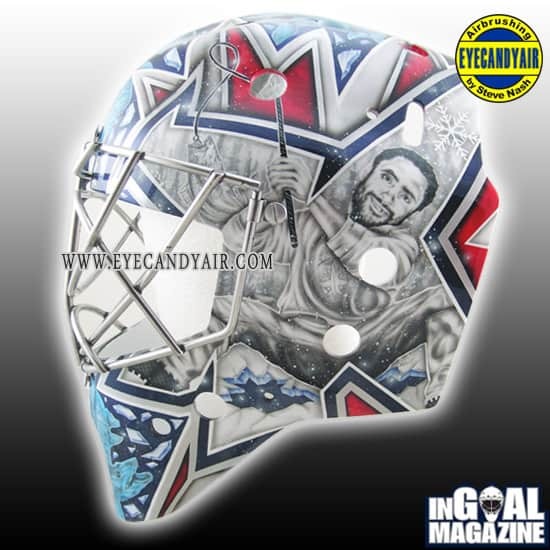 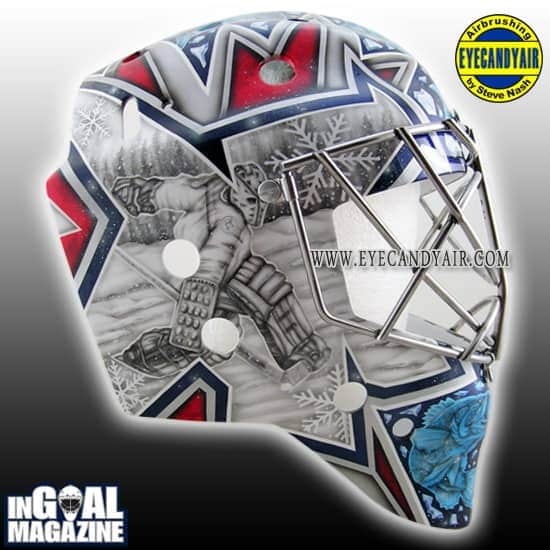 Enjoy all the up-close pictures of the new mask; for more great designs from EyeCandyAir be sure to follow their @eyecandyair account on Twitter, Instagram, and Facebook, as well as the main website.